We champion better law and policy to key decision makers in government and the market, successfully advocating for practical and proven solutions. We help policy makers and the general public better understand cultural racketeering, while championing practical and proven solutions to combat it. On Friday, March 6, 2015, the Antiquities Coalition wrote Fatou Bensouda, prosecutor of the International Criminal Court (ICC), urging her to open an investigation into Daesh’s war crimes against cultural heritage in northern Iraq. the ICC. 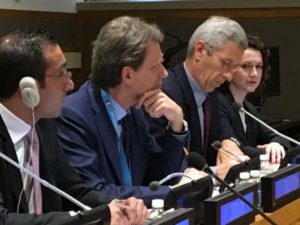 More importantly, judging from history, it also poses a stark warning that violent extremist organizations like Daesh will soon undertake even greater violence against the besieged Iraqi population: The United Nations (UN) clearly recognizes that such “cultural cleansing” is a specific risk factor of impending genocide, crimes against humanity and war crimes. 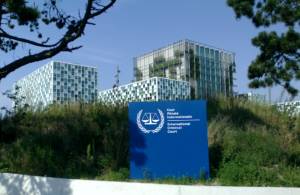 The Antiquities Coalition strongly commends and supports the International Criminal Court’s (ICC) decision to prosecute Ahmad Al-Mahdi Al Faqi, a member of the al Qaeda-affiliated Ansar Dine in Mali, for war crimes — in the first case brought before the ICC on the destruction of cultural property. This landmark decision sends a strong message that the intentional destruction of our shared heritage will not be tolerated and that those who engage in these crimes will be held accountable for their actions. 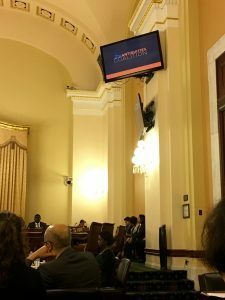 By testifying before congressional committees and other public hearings, the Antiquities Coalition is playing an important role in the decision making process. We help policy makers and the general public better understand cultural racketeering, while championing practical and proven solutions to combat it. 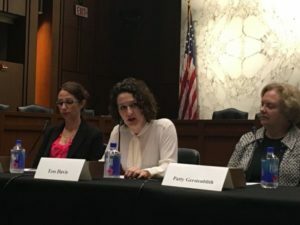 On September 22, 2016 Antiquities Coalition executive director Tess Davis joined a panel for the Senate Human Rights Caucus and the Tom Lantos Human Rights Commission. The panel, titled Destruction of Cultural Heritage in Conflict: Promoting Accountability and the Rule of Law explored the deliberate destruction of cultural heritage as a crime of war and tool of genocide. Panelists included Patty Gerstenblith, Director, Center for Art, Museum & Cultural Heritage Law, DePaul University; Helen Malko, Postdoctoral Fellow, Italian Academy for Advanced Studies, Columbia _mg_1469_29846845196_o-minUniversity; Tess Davis, Executive Director, Antiquities Coalition; Anne-Marie Carstens, Researcher, Georgetown University Law Center and moderator Raymond Brown, Co-Founder, International Justice Project. The destruction of cultural heritage in conflict is an increasingly pressing concern for governments and civil society around the world. In Iraq and Syria, Daesh (also known as ISIS) has targeted and destroyed, in visible and dramatic fashion, structures associated with minority sects ofIslam, Christianity, and ancient and traditional cultures. In Mali, a rebel group affiliated with al-Qaeda in the Islamic Maghreb attacked and destroyed religious sites in the famed city of Timbuktu – and one of the perpetrators of these crimes has pled guilty to the war crime of cultural heritage destruction at the International Criminal Court. On May 12, 2016 Antiquities Coalition chairman and founder Deborah Lehr testified before the Subcommittee on Counterterrorism and Intelligence of the House Committee on Homeland Security. 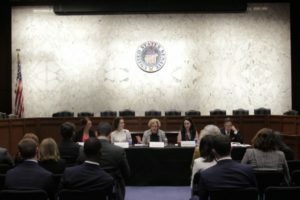 The hearing, titled “Following the Money: Examining Current Terrorist Financing Trends and the Threat to the Homeland” explored the developing trends in illicit financial activity that may be used to support terrorist plots and operations against the United States. It focused on terrorist financing through criminal activity, charity fraud, and antiquities smuggling. Representative Peter King (R-New York’s 2nd District), Chairman of the SubcoFullSizeRender-1mmittee, and Ranking Member Brian Higgins (D-New York’s 27th District) led the hearing. Lehr also testified how the U.S. Special Forces raid on the compound of Daesh’s “Chief Financial Officer,” Abu Sayyaf, confirmed that the extremist group has institutionalized the trafficking and destruction of antiquities. Lehr—joined by several committee members—warned that the terrorist organization is making significant profits from this plunder. 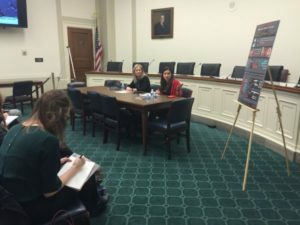 On February 12, 2016 Antiquities Coalition chairman and founder Deborah Lehr and chief of staff Katie A. Paul presented the #CultureUnderThreat Map to Congressional staff on the Hill. The map shows not only the extent of cultural crimes but also the intensity. IMG_0796The discussion explored on how cultural heritage is used by Daesh and other violent extremist organizations as a means of growing their campaigns of terror and expanding their networks. Learn how Daesh finances its terror through looted relics, generates propaganda through performative destruction and expands its influence through the manipulation of media and market interest in cultural heritage. In addition to oil, these “blood antiquities” are a major source of funding for Daesh alongside kidnapping and extortion. In addition to the psychological value of cultural cleansing to subjugate captive people, sales of illicit antiquities provide financial incentive to plunder historic sites and consolidate the caliphate’s brutal hold. Other militants groups, and organized criminal syndicates, also reap rich rewards from antiquities trafficking. Lehr and Paul discussed the bipartisan steps Congress is taking to curb funding by cracking down on the trafficking of artifacts looted from sites in Syria.